Differently than the name suggests, important battles from the 2nd World War and not only from 1942 are "played" in the game (from the Swedish developer team Dice). Locations include Central Europe, Africa, the Pacific and the Soviet Union. In part, one must jump off with a parachute, storm the beach partly from ships through landing crafts. One can attack with a sniper's gun or bazooka in the battle. Also as a medic or mechanic with special abilities one can also be spawned. On the battlefields jeeps, troop transporters, different tanks and airplanes as well as ships are available. Everything is operated differently. Also MG nests, anti-aircraft and heavy guns to defend the ships can be used any time. In different buildings one can heal himself in medicine cupboards, ammunition boxes supply the player with bullet supplies. In the game it is a matter taking flags and of holding them. It is played always in 2 teams (axis and allies). One must stay near your own flag to protect it or go for an opponent's flag (which after some time with no enemies in the vicinity of the flag changes colour, in this case the flag remains gray, thus neutral). If one has more enemy flags, the score of the opposing team sinks. If it reaches zero left uncaptured, one has won the battle. 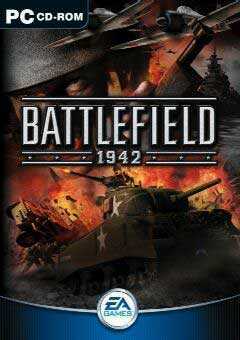 Battlefield 1942 impresses with great graphics and a sharp play feeling. Every vehicle feels different, nevertheless, the control has not got too complex, thus the player quickly will learn. Battlefield offers far-reaching configuration possibilities and a satisfactory singleplayer mode. The bots work (in view of the complexity of the play) satisfactorily and can become to a great extent configured. If one does not have enough players, one can also rush into a Co-op mode and with the bots skirmish (with good AI, having 2 or 3 to every 1 player makes it mostly fun. I prefer personally Battlefield 1942 nowadays to UT2003 quite clearly. The game was made freeware in 2012 on the 10th anniversary of the game's release.